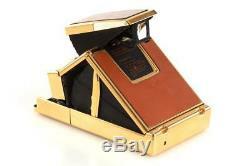 Rare 24 carat gold-plated SX-70 in excellent condition and good working order. 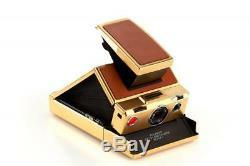 Typ / Type: SX-70 Alpha 1 Gold. Bestellnummer / Order number: 30692,17. 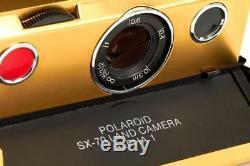 The item "Polaroid SX-70 Alpha 1 Gold // 30692,17" is in sale since Thursday, February 1, 2018. This item is in the category "Foto & Camcorder\Photographica\Alte Kameras\Sofortbildkameras". The seller is "www_leicashop_com" and is located in Wien / Vienna. This item can be shipped worldwide.